Before technology changed the way we do business, all you had to do to get ahead of the game was ‘work hard’. Now, to succeed in this new information era, the focus is all about ‘learning hard’. But you don’t have to spend chunks of your precious time attending courses in person. You can achieve great results by doing online communication courses through microlearning, at your own pace. Find out more about microlearning and how it can give you the edge to stay ahead of the competition! We all know the ingredients for a healthy lifestyle; eat well, exercise, get a good night’s sleep etc. But what about the amount of learning we need to maintain our economic health? Studies of the most successful, busiest people in the world indicate that at least 5 hours per week of learning is necessary just to stay up-to-date and match your peers. People who don’t heed the 5-hour rule are in danger of operating with out-of-date knowledge and falling behind. This can lead to being overlooked for promotions and plateauing in your career. In some instances, it can even lead to unemployment if you leave the workforce for a period and become out-of-touch with your industry. According to author and entrepreneur Michael Simmons, “Not learning at least 5 hours per week is the smoking of the 21st century”. 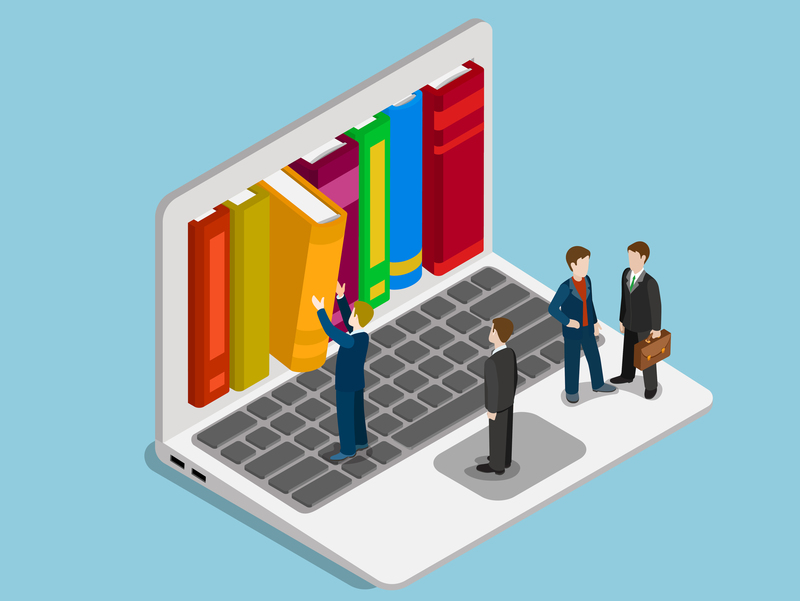 Let’s take a closer look at how microlearning works and its benefits. Remember when you were at school at you left studying for an exam right up until the last minute? No doubt you had to pull an all-nighter to cram in as much information as you could. Even though the information was fresh in your mind, you would have done a lot better on the test if you’d studied smaller chunks of material over a period of weeks. This is because the brain needs time to digest information and transfer it from the short-term memory into the long-term memory. Microlearning, or short repetitive learning, of a subject gives you much better retention and a higher comprehension rate. In this article that looks at the brain science behind microlearning, micro-learning is described as “the slow-and-steady tortoise to the cognitive-overloaded hare.” Which is a great way to illustrate the concept. You don’t have to cram in a whole lot of information in one go, the beauty of microlearning is in the premise ‘micro’. Whether it’s listening to a podcast for 15 minutes while you’re driving to work, or watching a Youtube video as you workout on the treadmill. Digital technology has given us the freedom to learn on-the-go, at any time, wherever we are! So if you’re bemoaning the fact that you don’t have time to learn, take a look at your colleagues. What do they do on their commutes, slow times or lunch breaks? Are they using the opportunity as a mini learning period or just surfing Facebook? You may be surprised. Many professionals are recognising the value in microlearning, and the need to keep ahead of the game. Time and energy are challenges but they shouldn’t be excuses. We simply can’t afford not to learn. As you can see, taking the time to invest 5 hours per week in your professional development through microlearning can have far-reaching effects on your career. Employees considering doing some kind of e-learning, should look at online communication courses because good communication skills are crucial to just about every role you can think of. People who improve their communication skills have more confidence in their presenting abilities, they are able to engage and win over stakeholders, they achieve a greater number of sales, and they typically command higher salaries. In the business world, standing still is the same as going backwards. If you want to keep your career advancing, you need to invest in your most important resource – your ability to learn – to ensure you have the necessary skills to give you the edge you need to stay ahead of the competition. Now you’ve understood the benefits of microlearning there are no more excuses! Our effective communication course is perfect for busy people who want to improve their communication skills. This industry-leading communication program can be completed, at your own pace online. Start the free trial today!